Want to see a free advance screening of a movie next week? 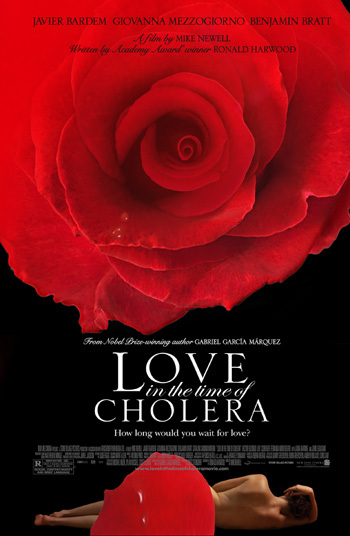 New Line Cinema is giving LibraryThing members in California* an invitation to see the film Love in the Time of Cholera before it opens. Details below. Does the film do the book justice? Members of the Made into a Movie group, I look to you… (Join the conversation about When the movies are better than the books or vice versa). Click on the link to get a pass, print it out, and bring it to the screening (each pass admits two people). Both screenings start at 7:30pm, and admittance is on a first come first served basis—so get there early! They’ll start letting people in around 7pm. *Apologies to the non-Californians (hey, I’m one of you! ).